Demonetization (INR 500/1000) – How much money can NRI’s carry while coming back to India? The Demonetization has literally shaken the black market in India. New and tight rules coming from the Indian Government every day to curb black money & tax fraud. So how much money can NRI’s carry who are coming back to India for vacation? According to the Reserve Bank of India, the allowed limit is Rupees 25,000 per person. (a) These Regulations may be called the Foreign Exchange Management (Export and Import of Currency) (Amendment) Regulations, 2014. (b) They shall come into effect from the date of their publication in the Official Gazette. (a) may take outside India currency notes of Government of India and Reserve Bank of India notes up to an amount not exceeding Rs. 25000 (Rupees Twenty Five Thousand Only) per person or such other amount and subject to such conditions as notified by Reserve Bank of India from time to time. (b) may bring into India currency notes of Government of India and Reserve Bank of India notes up to an amount not exceeding Rs. 25000 (Rupees Twenty Five Thousand Only) per person or such other amount and subject to such conditions as notified by Reserve Bank of India from time to time. 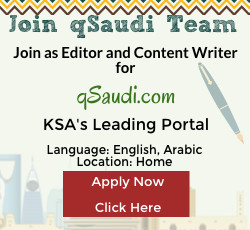 https://qsaudi.com/wp-content/uploads/2016/11/demonetization.png 252 484 SaudiExpert https://qsaudi.com/wp-content/uploads/2013/12/qs-logo-1.png SaudiExpert2016-11-24 16:15:502017-12-19 16:15:20Demonetization (INR 500/1000) - How much money can NRI's carry while coming back to India?